Two bedrooms each with their own full bathroom. 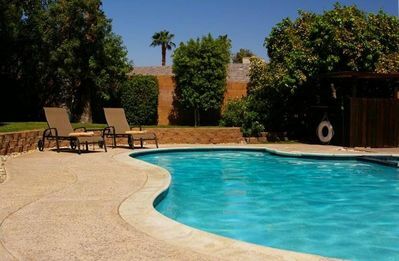 Private heated pool with a relaxing tranquil feel with accommodations in a secluded home. With a touch of art, comfort and perfection coupled with an indoor/outdoor flow from the main house, you will be showered with a heavenly lull. 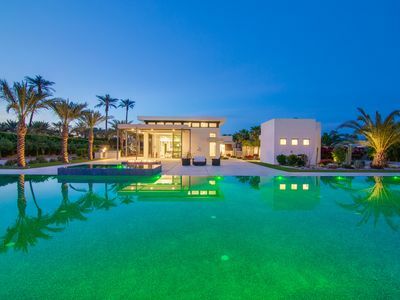 This lovely home reflects the joys of design, architecture, passion for plants and landscaping. 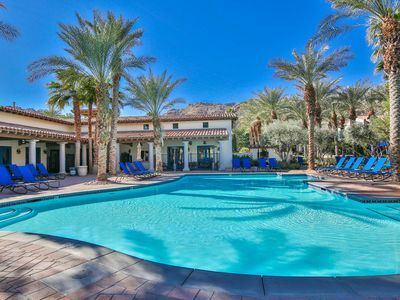 The pool is nestled under an oasis of 12 palm trees, just a small part of the 21 palms on the property. A hammock is available to you and can be easily placed strategically at the edge of the pool. 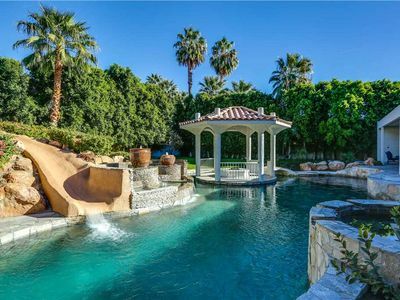 Feel free to drop your foot into the pool, while nestling with a book or sipping a glass of wine. An over-sized Buddha under the palms looks on to add the peace and tranquility of the space. A spacious outdoor shower leads off the master bedroom and to the pool. 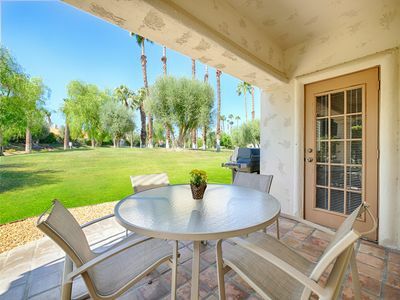 The intimate, covered outdoor patio, which leads off one side of the living room and again off of the kitchen, has a grill and enough seating to entertain. 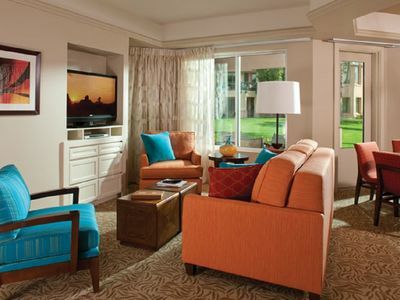 The living room looks on to the pool and numerous palm trees as well as the cozy, covered patio. A great surround sound system is yours for the choosing. Board games, art fun, yoga mat and bands for working out are available. There is also doggie bowls, food mat, leash, pop bags and a medium size bed. 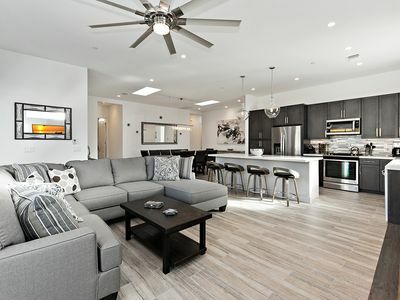 The kitchen has just enough connection and separation from the living room and dining room in a functional way providing easy access to all spaces, including the outside dining. 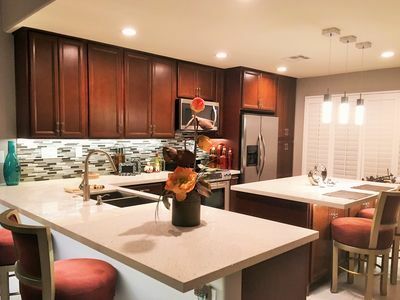 The kitchen itself has a chopping block island and is fully equipped with a double oven and a Wolf gas range. All counters and back splashes are granite. Ice maker in the ice box and a double sink. One room has a queen bed and the other is a king. T.V. in each bedroom and of course, the house has free WiFi and cable. The home is very private, quiet and surrounded by well cultivated lush and tropical landscape. Wisteria covers the veranda in March and April. Grapefruit and Orange blossom perfume the air in February and March and a sizable grapevine yields an endless supply of the sweetest seedless champagne grapes from the end of April through June. 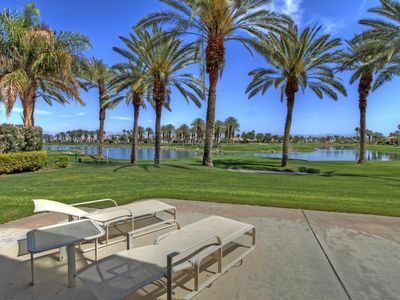 It is located close to the 10 Freeway and is in close proximity to supermarkets and other general amenities. Two bottles of water will be ready for you when you arrive and a variety of tea at the house for your pleasure. If you are traveling with a baby or child please let me know so I can add a few more things to make your arrival flawless. If you are celebrating a special occasion please let me know, would love to help with making it even more special. If requested the Property Manager will greet you upon your arrival. This home, Cloud 9, is a gem. 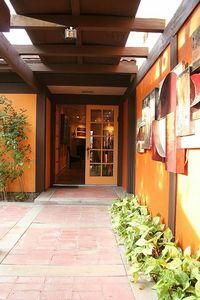 If you want a fun, relaxing, tranquil, zen-like experience this is the home for you. *Please Note* There is a casita that is not yet available for sleeping and will not be available until next year. 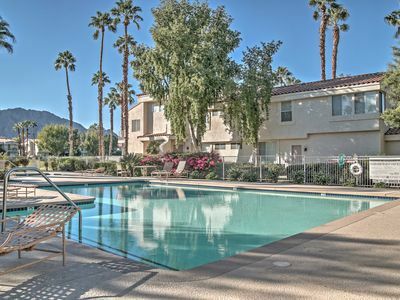 The pool can be HEATED for an additional cost of $25.00 per day. Private Escape - Check the reviews! 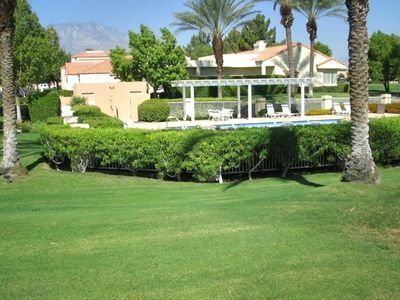 Palm Desert playground - Pool, Spa, Fire Pit, Putting Green and more! 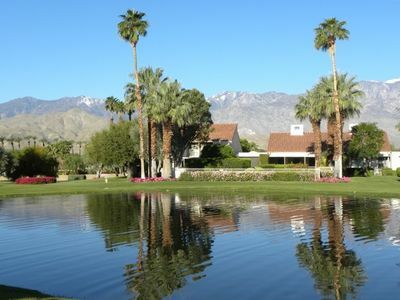 N. La Quinta near Tennis Center --Now open for January and March season!! 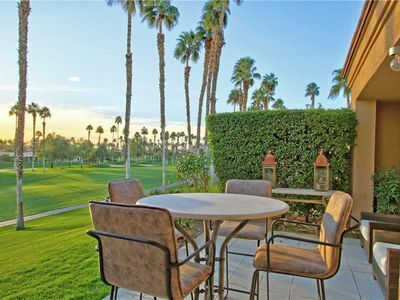 V3654 - Palm Valley CC - 3 Bedroom! 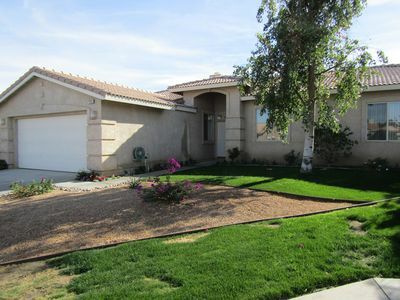 Great Location and Upgrades!